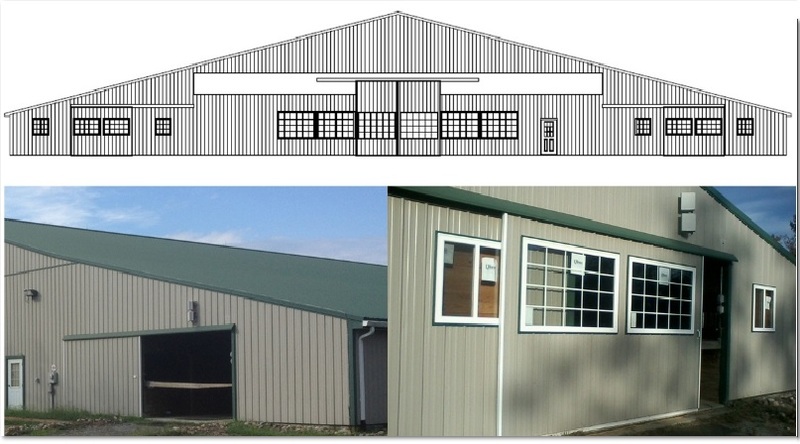 Found out who's face is going to be lifted...: SMS Builders came in yesterday and got started putting in more windows in the barn and indoor arena! Plans look great. Above the first "before" and "after" shots.